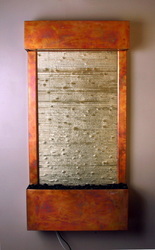 This compact Fantasy Water Fall is perfect for any space. 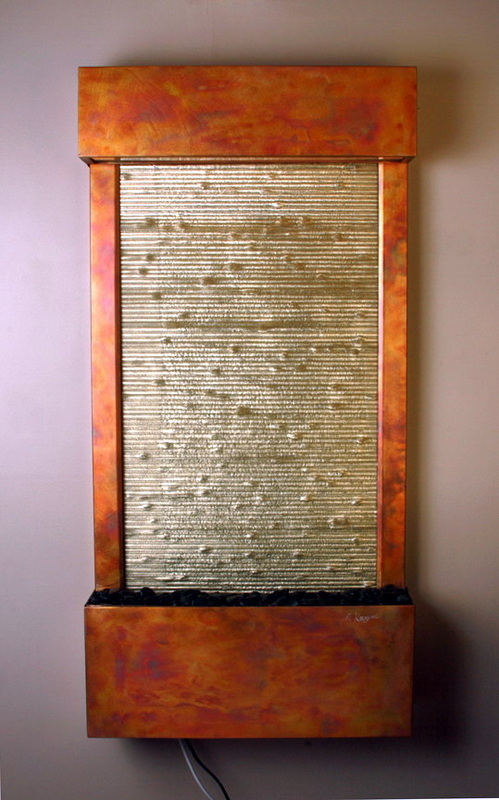 Made of copper and featuring an imaginative flame finish, this water feature is complemented by a shining gold Bios panel that mesmerizes as water ripples down in dramatic form before reaching a bed of dark pebbles. This water feature is as chic as it is soothing. Enjoy the sounds of falling water while appreciating the look of enchanting water art.